Dr. Brad Murphy is a graduate of Auburn University's College of Veterinary Medicine class of 2000. 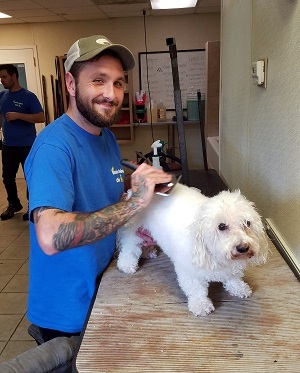 He has been in practice here at Vestavia Animal Clinic since beginning his career. Dr. Murphy enjoys both the medical and surgical aspects of veterinary medicine. He has extensive training and experience in the fields of diagnostic ultrasonography and orthopedic surgery. Brad is happily married to Catherine and they have a daughter Ava, and a son, Russell. In his spare time Brad enjoys running, swimming, cycling, golf, and competing in triathlons. He also raises chickens and enjoys gardening. Dr. Sara Edwards earned her bachelor of science degree in microbiology in 1985, and is a 1989 graduate of the College of Veterinary Medicine at Auburn University. Sara joined our veterinary team in 1992. Sara worked for the Department of Pathology and Parasitology at the College of Veterinary Medicine at Auburn for ten years. Sara was a member of the Auburn Marching Band and the Auburn Concert Band. Sara is an auxiliary member of Auburn Knights Orchestra. After moving to Birmingham Sara met and later married Scott McLain IN 1997. Sara has one son, Justin, who lives in Dallas with his wife Kim, daughter Emma Grace, and son Grant. Sara spends many of her vacation days traveling to see her grandchildren. Sara and Scott have a rescue dog named "Possum". 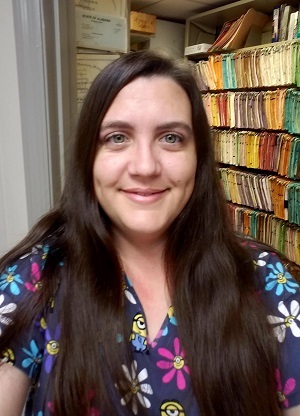 Dr. Mandy Rains was born in Birmingham, attended Birmingham Southern College, and graduated from Auburn University with a bachelor of science degree in microbiology. She earned her Doctor of Veterinary Medicine degree from Auburn's College of Veterinary Medicine in 2001. Mandy joined Vestavia Animal Clinic in July of 2005. Her professional interests include feline medicine, cytology, and wound care/reconstructive surgery. During her spare time, Mandy enjoys making cheese and soap, cooking, knitting, birding, jewelry crafting, raising chickens, gardening, and tending to her small herd of Nubian dairy goats. Mandy lives in Columbiana with her two Arabian horses, a Shetland Sheepdog, two lazy cats, and a very moody silver tabby named Margaret Ann. Mandy hopes to one day operate a grade A goat dairy, and dreams of making the world's best goat cheese. 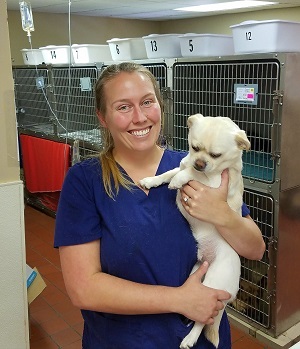 Dr. Ann Brennan was born and raised in Memphis then went to Auburn University for her Bachelor's in Poultry Science and received her Doctorate of Veterinary Medicine from Auburn University College of Veterinary Medicine. 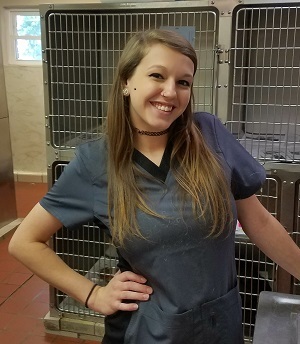 She worked as a veterinarian in Georgia for 6 years then joined Vestavia Animal Clinic in 2018. Outside the vet hospital, she enjoys spending time with her husband Eric and son Tucker. Her furry family members include a German Shepherd dog and 2 naughty cats. When not chasing her little boy around, she enjoys watching Auburn football, working out, gardening and cross-stitching. Kristin spent her early life in Longview Texas. She joined our healthcare team in 2008, and became our Kennel Manager in 2016 and Hospital Manager in 2018. In addition to her managerial duties, she continues her vital role as a veterinary nurse. Kristin has a daughter, Lily, that keeps her busy when she is not working. She has one dog (Sipsey) and numerous chickens. She also loves to garden and cook. Lynn has always had a love for animals. Her first involvement in animal caregiving and animal education was working as a volunteer for the Birmingham Zoo where she was a docent for two years. Lynn also volunteered at the Oak Mountain Wildlife Rescue Center where she participated in the rehabilitation of injured animals and caring for orphaned wildlife. Lynn was amused by the odd sense of humor displayed on the marque of our sign and was intrigued enough to come in and apply for a job. She has worked at Vestavia Animal Clinic since November of 2000. Lynn has three children. She lives in Hoover with her three cats: Zeke, Nanni, and Hemi. Stephenie was born in Beaumont, TX in 1984. She was reared in Virginia Beach, Va and moved to Birmingham in 1993. She currently lives in Pelham. She has worked for Vestavia Animal Clinic since 2005. 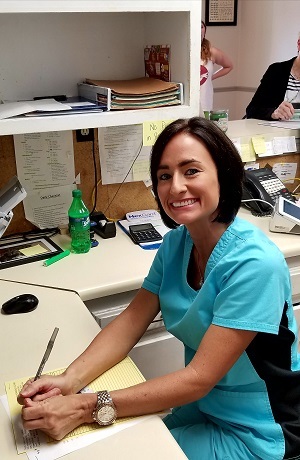 She graduated from the Veterinary Technology Program at Jefferson State Community College in December 2012 and passed her board exams in 2013. She is now a Licensed Veterinary Technician! 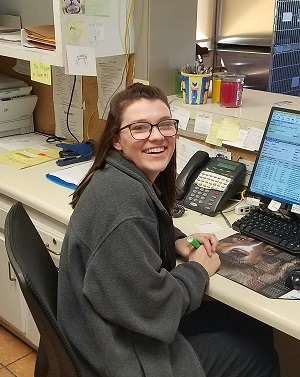 Stephenie still hopes to one day apply to the College of Veterinary Medicine at Auburn University and realize her dream of becoming a Veterinarian. Stephenie married her husband, Clay, in August 2007. They welcomed their daughter, Paisley, in November 2008. She also shares her home with a Beagle/Boxer mix named Nollie and a yellow lab named Ruger. 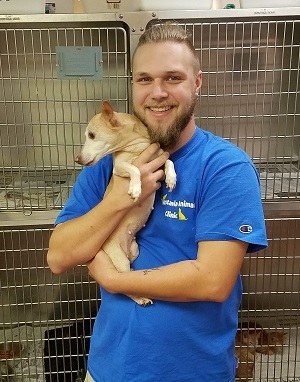 Blake started out with us as a kennel assistant back in 2008. Not long after, he took up the position of Kennel Manager. He has a dog named Fayley, and three cats named Lir, Tamsin, and Gypsy. All of his pets are rescues. Blake has a problem with choosing names for his pets. Erin joined us in 2016 as a kennel assistant and is the newest addition to our team of technicians. She has a passion fpr animals and music. Erin has a cute little chihuahua mix dog named Broski. Beth is from Montgomery and moved to Birmingham in 2004. She joined our staff in 2015. She has two wonderful sons: Tanner (12), and Parker (10). She has been a pet owner all of her life. Currently she has a dog "Cooper", a cat "Rudy", and a hamster "Chub Chubs". Beth's hobbies include cooking, traveling, and billiards. She loves Alabama football and watching her son play little league baseball. She will visit any zoo near her when traveling and loves all creatures. She hopes to have her own farm one day, filled with tons of animals. Kelsie is a native of Birmingham. She has two dogs, Riggins and Toby. She loves all animals and would have many more if she could. Jon is a native of Chelsea Alabama. He joined our staff in 2009 and has been a key member of our staff ever since. Jon has one dog, a rescue named Bailey. He is in school to become a welder. Jon has more tattoos than the rest of our staff put together. Patrick is from Hueytown Alabama. He has three rescue dogs; Ragnar (Husky), Max (Chihuahua), and Bjorn (Chihuahua). Patrick plans to attend veterinary school. Alisa grew up in Trussville. She lives with a chihuahua named Omie, and a cat named Farah. She loves all types of animals.